Christmas, or Sweet Box as it is also know is one of the best shrubs available for the winter period. 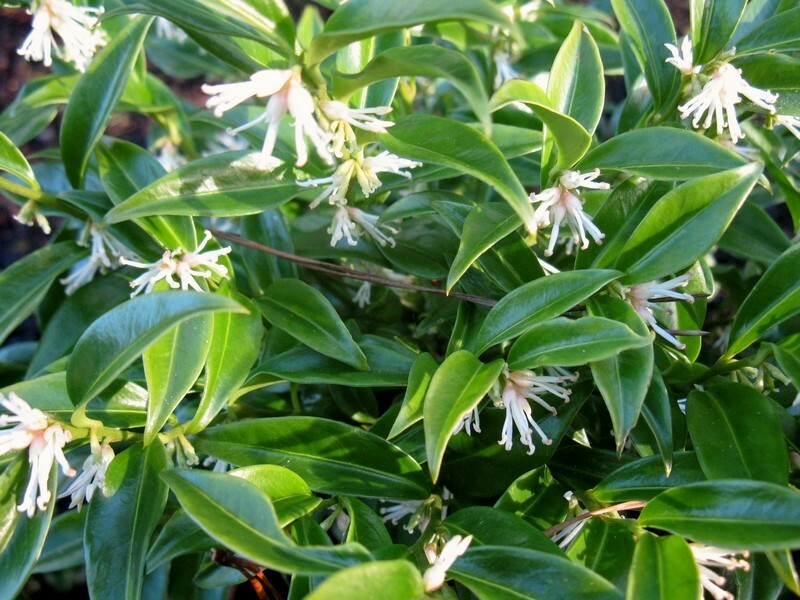 It has smart dark-green foliage throughout the year but really comes into its own in the winter months, the stems clothe themselves in small clusters of creamy-white flowers, these are sweetly scented and can be detected from some distance. To really appreciate the fragrance, why not try these near to a doorway or path? 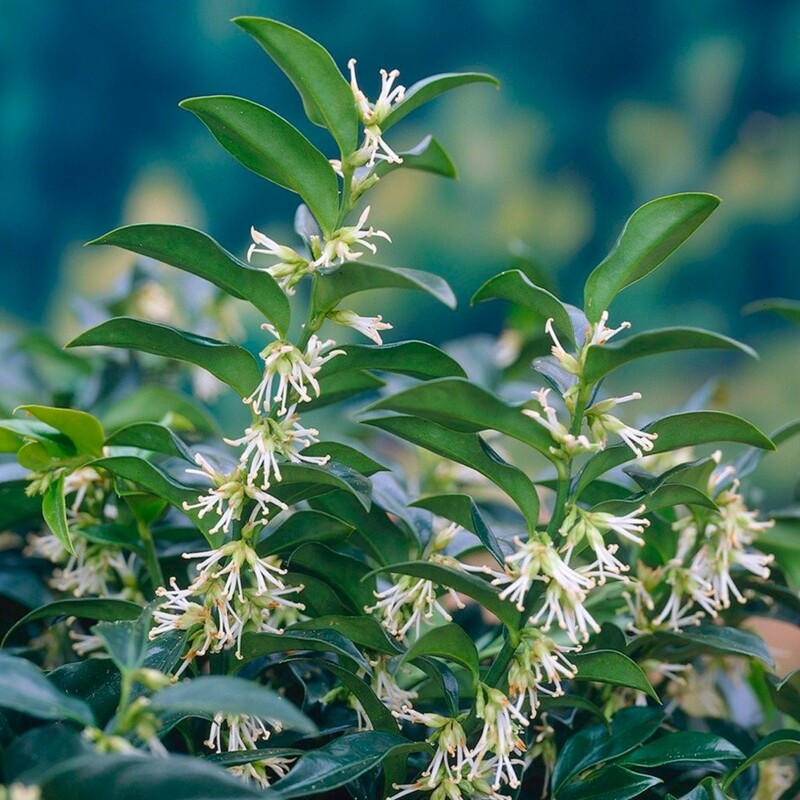 This highly fragrant small shrub is also excellent in containers that can be moved close to the house when it is blooming or even brought indoors to really appreciate the fragrance that can easily fill a room. Cut stems can also be taken from established plants for the same scent and foliage to add to floral arrangements. Shade tolerant it is ideal for planting under trees and is very hardy. 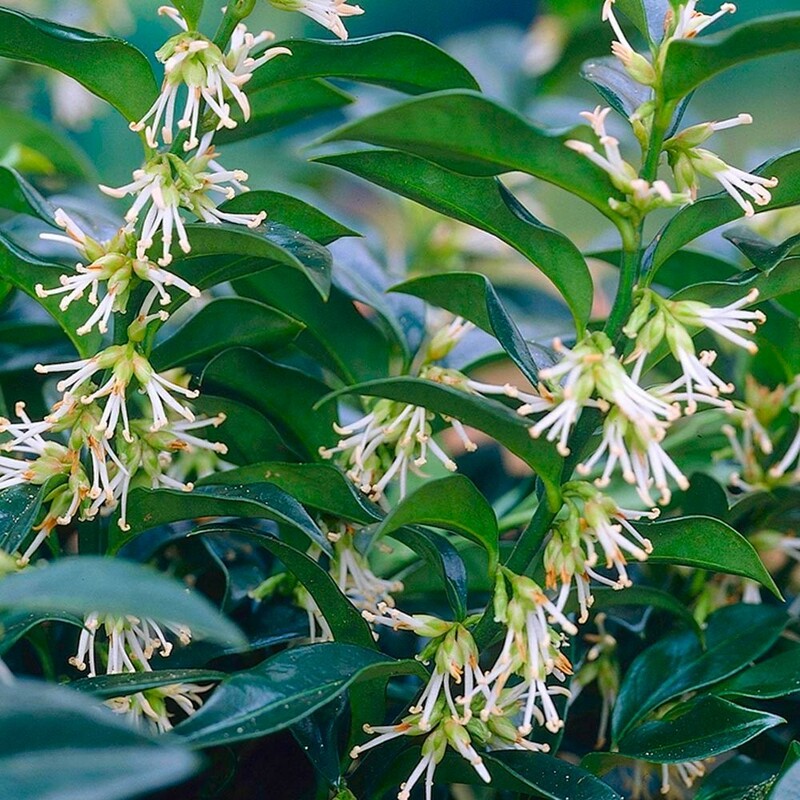 Sarcococca originate in China and the Himalayas and are related to the common box, buxus - hence the common name. They gradually form low-growing mounds of evergreen foliage. The dark green leaves are slightly rippled and it is the small white flowers that clothe the stems that produce the rich fragrance. The sweetly scented, pure white flowers appear from December to March. The leaves are really lustrous and dark green, and look particularly striking in winter when many other plants are out of leaf, let alone flowering! Tough and reliable, this plant will also cope well with dry shade and urban-pollution. 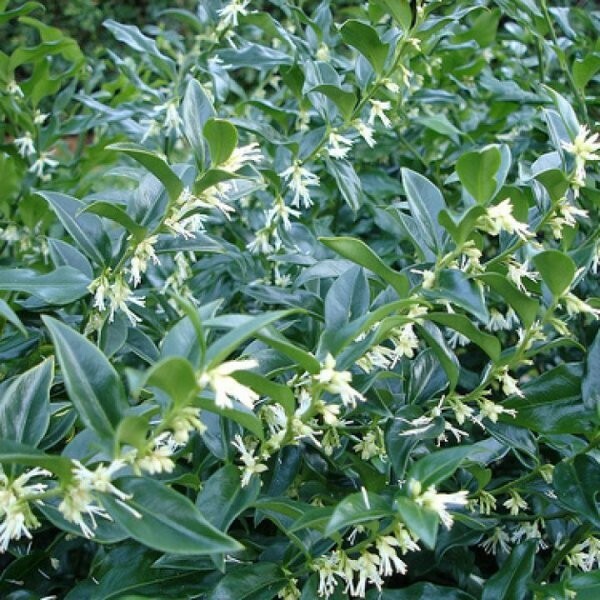 All in all, this wonderful, winter-flowering, dense, evergreen shrub is perfect for a shady border or patio planter. To fully appreciate the fabulous, vanilla-like fragrance, plant close to an entrance or path. With the name Christmas Box, it is also one to look at as a gift option for any gardener at that special time of the year! Plants supplied in approx 1 litre containers - high quality, bushy specimens, these will be in bud/flower in season so you can enjoy the sweet fragrance.